Your loved one has been diagnosed with head and neck cancer and needs surgery. This may be a scary time for both of you, so it is important to have as much information as possible to help your loved one go through the surgery itself and the recovery. Having the correct information is also important to help you feel less afraid of what is to come. Your biggest fears are often due to not knowing what to expect, so knowing the truth can help you be prepared. You will no doubt have many questions as you and your loved one fight cancer. Some questions you probably won’t think of until you reach that part of the journey. However, there are questions most people have when helping someone they love who has cancer. Q: Does everyone with head or neck cancer need surgery? A: No. Some head and neck cancers can be removed in the doctor’s office with a little painkiller applied to the area. Other head and neck cancer cannot be treated with surgery because of where it is or how serious it is. In those cases, your loved one may have radiation therapy or chemotherapy. Q: Will my loved one’s looks change? A: Depending on the cancer’s location, it is possible your loved one’s outside will change, but it is the same person on the inside. If there are changes, he or she will probably feel very self-conscious or embarrassed. You can help make the change easier by being loving and kind, sharing the relief that the cancer surgery is over and making sure your loved one knows you care about how he or she is as a person, no matter what the outside looks like. Q: How long will my loved one need after surgery before he or she can return to normal? A: No two surgeries are the same, even if the same kind of surgery is done, so it is hard to put an exact time on recovery. In most cases, though, the first few days after your loved one returns home will be difficult. He or she will be in pain so will sleep quite a bit of the time. In addition to the tiredness that comes from any surgery, he or she will also be dealing with the physical changes caused by the surgery. Your loved one may have a breathing tube (a tracheotomy) or a feeding tube (a gastric tube), which will help with breathing and eating. It may take some time before life will settle down. It may never return to normal, but a less hectic, chaotic life will soon begin as your loved one starts feeling better. Q: How can I help my loved one after cancer surgery? A: The biggest help needed after cancer surgery is to simply sit with your loved one, help with getting ice chips or water, help with getting out of bed for a walk or going to the bathroom, or to just read a story. Q: Will my loved one always need to have radiation therapy for head and neck cancer? A: No. 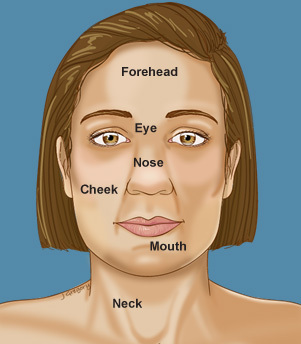 Some cancers of the head and neck are treated with surgery alone or chemotherapy alone. If radiation therapy is recommended, know that your loved one’s doctors feel it is the best treatment for your loved one’s cancer, and they will do everything possible to make sure it is done for the shortest time possible. Q: Will my loved one get sick because of the radiation therapy? A: Remember that each person can have different side effects from cancer treatment. Radiation therapy can cause nausea and vomiting, but the biggest side effects from radiation therapy are tiredness and burns. The longer the radiation therapy goes on, the worse the tiredness and the radiation burns. Because radiation therapy takes place over several days in a row, even up to a month, your loved one may feel increasingly tired, but once radiation is finished, he or she will start feeling better rather quickly. Q: How can I help my loved one going through radiation therapy? A: Your loved one may need someone to drive him or her to treatment. If you have your driver’s license, you could help. After treatment, you can help by making sure there is a fresh supply of water or ice chips. The primary caregiver may appreciate it if you sit in the room while your loved one sleeps or if you run errands. Again, simply sitting and reading or holding your loved one’s hand is often the best help you can give. Q: Does everyone who has chemotherapy get really sick? A: Chemotherapy treats cancer by killing cells that reproduce quickly. Cancer cells reproduce quickly, but so do cells in the skin, hair and nails. The drugs that go into chemotherapy can cause your loved one to feel very sick, including throwing up. He or she may be unable to eat for a few days after each chemotherapy treatment, but by the third day, he or she should start feeling better. Chemotherapy drugs build up in the system, so how sick your loved one gets will change with each treatment, getting worse each time. As soon as the last treatment is over and your loved one recovers from it, he or she should start feeling better fairly quickly. Q: Will my loved one lose his or her hair? A: Chemotherapy treats cancer by killing cells that reproduce quickly. Cancer cells reproduce quickly, but so do cells in the skin, hair and nails, which means your loved one will most likely lose his or her hair, as well as have problems with itching or dry skin and weak fingernails. Once chemotherapy is over, hair, nails and skin start to recover and grow. In some cases, hair will even grow back thicker and curlier than it was before chemotherapy and may even be a different color. Q: How can I help my loved one go through chemotherapy? A: Your loved one may need someone to drive him or her to treatment. If you have your driver’s license, you could help. If your loved one is sick to the stomach in the days right after treatment, you can help by making sure there is a fresh supply of water, popsicles or ice chips. The primary caregiver may appreciate it if you sit in the room while your loved one sleeps or if you run errands. Again, simply sitting and reading or holding hands is often the best help you can give. More information is available throughout this website on how you can deal with a friend or family member with head and neck cancer as well as how you can best handle this change in your life and the life of your loved one.